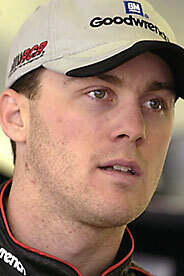 After he was chosen to take Dale Earnhardt's place, Harvick said, ". . . there was no responsibility to fill Dale Earnhardt’s shoes. Nobody could do that, ever." Read the full story here. 2003 Overview: Harvick, after a sophomore slump, had an exceptional second half, with a win at The Brickyard and five second-place finishes. He finished fifth in the standings, a career high. Harvick completed 99.5 percent of his laps.